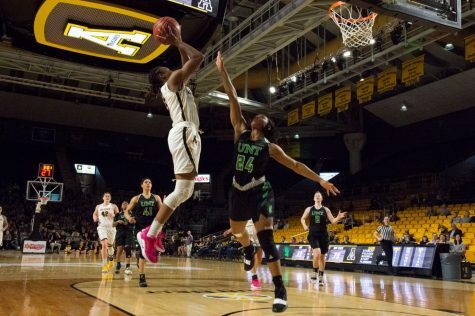 On April 3, the App State women’s basketball team defeated North Texas 76-59 in the Women’s Basketball Invitational Tournament championship for its 22nd win of the year and its eighth win of the last nine games. On Feb. 24, 2018, App State lost at the University of Arkansas-Little Rock 61-35, which allowed the Trojans to clinch the Sun Belt regular season championship. It was the Mountaineers’ 21st loss of the season. App State head coach Angel Elderkin didn’t want her team to forget the experience. Four hundred and three days after watching another team cut down the nets, Elderkin’s vision finally came to fruition as the Mountaineers cut down nets of their own. 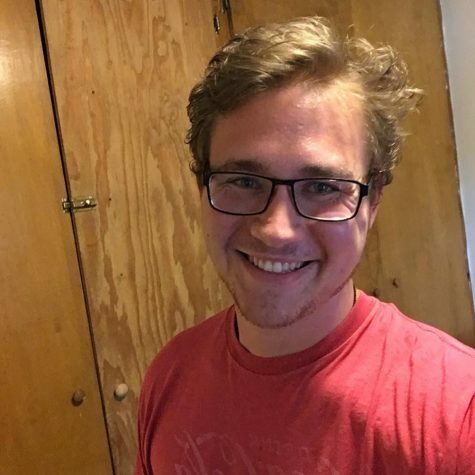 Although the team members were upset with their coach for putting them through that experience, sophomore forward Lainey Gosnell said she understood Elderkin’s reasoning. 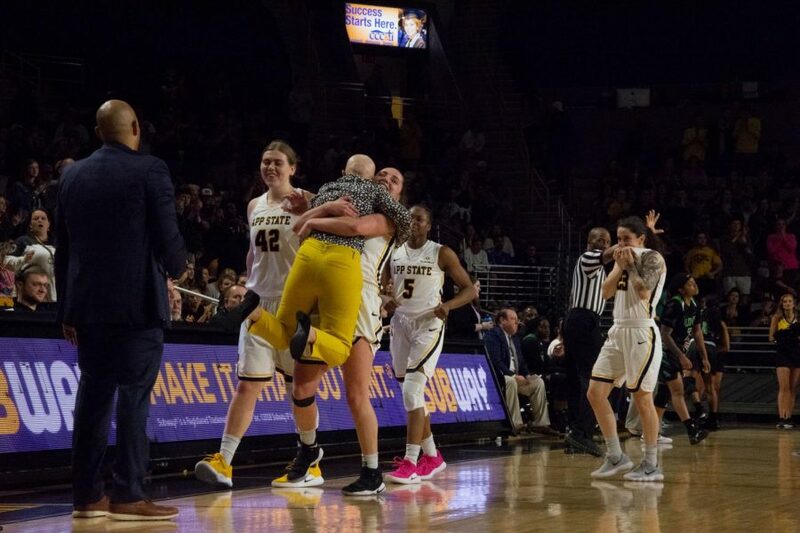 This was the first time since the 2010 WBI Tournament championship that the Mountaineers finished their season with a win, and they had plenty of practice cutting down nets. 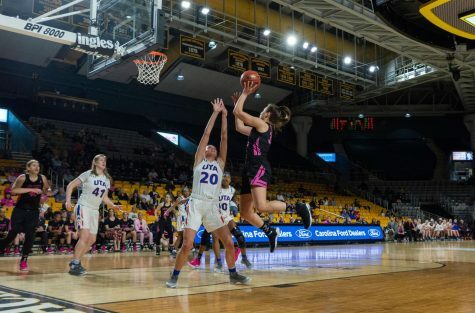 In the championship game, four Mountaineers scored in double figures, with junior point guard Ashley Polacek putting up a team-high 21 points on 9-12 shooting from the floor. Sophomore guard Pre Stanley finished with 19 points and was named MVP of the tournament after averaging 19.3 points per game on 51.9% shooting. Story capped off her career with 17 points and Gosnell added 10 points. Plummer scored eight points, but her biggest contribution to the win was her work on the glass. Plummer grabbed a career-high 22 rebounds in the game. Along with Stanley’s tournament MVP honor, Story and Plummer were named to the all-tournament team. 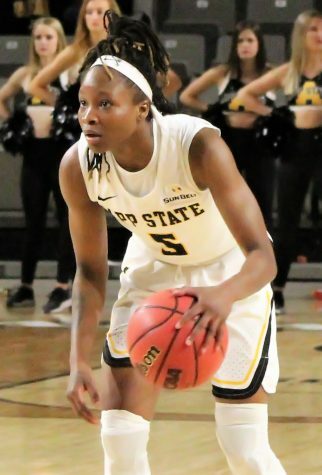 In the first round, App State played its only road game of the tournament, picking up a close 57-55 win over UNC-Asheville on March 20. 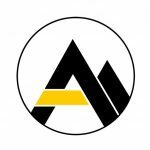 On March 25, the Mountaineers beat Marshall University 83-71 and then knocked off Campbell University 70-57 in the semifinals on March 30 to reach the championship game. The Mountaineers finished the season with a 22-14 record, their best win total since the 2011-12 season, when they finished 27-7. 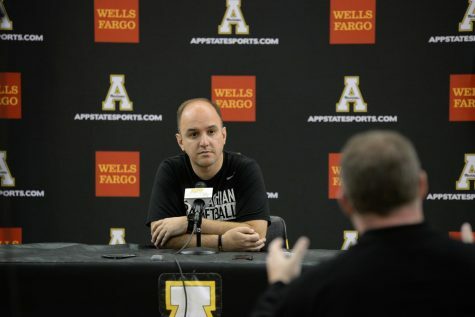 They went 10-8 in Sun Belt play, which earned them the fifth seed for the conference tournament. The 10 wins are the most Sun Belt wins for the Mountaineers since joining the conference in 2014. 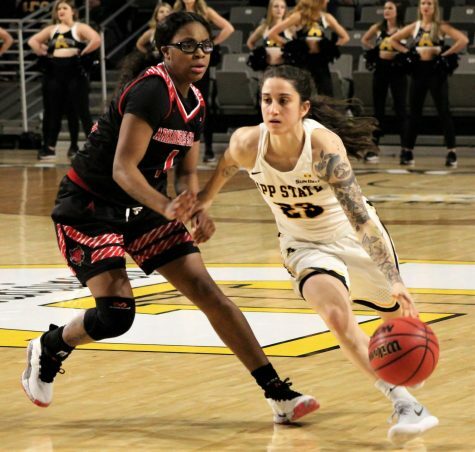 Although the end of the season means the departure of senior leader and career 1,000-point scorer Madi Story, four talented starters in Plummer, Stanley, Polacek and Gosnell and the rest of the bench will return in the 2020 season. 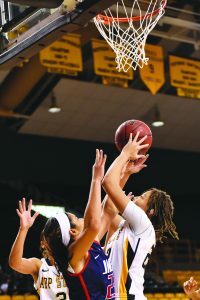 Story is one of just two seniors on the team and was the only one to log minutes on the court, as guard Anna Perez Gomez was sidelined with a knee injury for the entire season. Improving their win total by 14 games and ending the season with a win, the Mountaineers showed how far they came in one season. 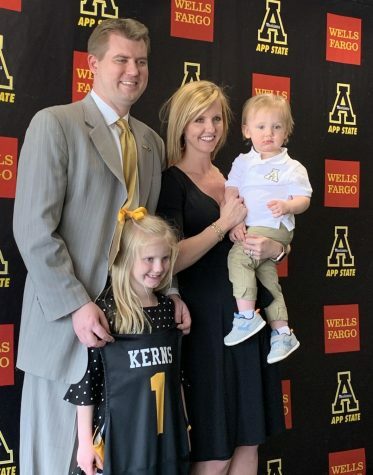 At the end of the 2017-18 season, not many people expected to see App State have a net-cutting ceremony of its own anytime in the near future.